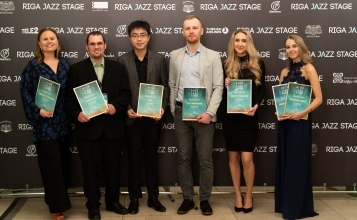 “Riga Jazz Stage 2018” announce winners! 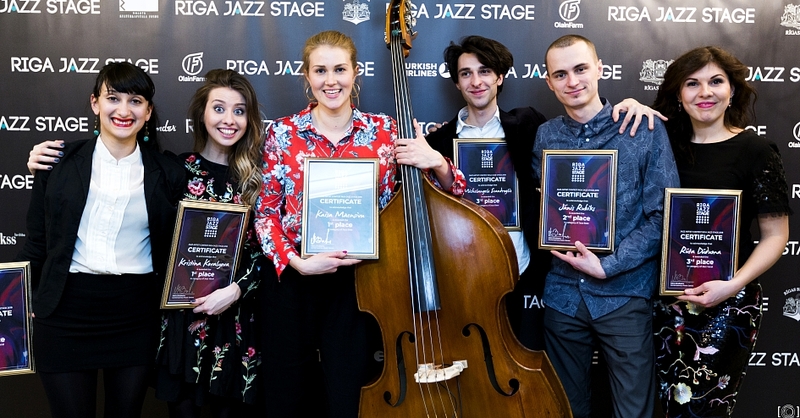 The winners of International Jazz Artist Contest Riga Jazz Stage 2018 are Kaisa Mäensivu (Finland) in category “Jazz Bass” and Kristina Kovalyova /Russia/ in “Jazz Vocal”! The Special Prize of Maestro Raimonds Pauls was granted to Kristina Kovalyova for her original and unique performances. 1st place winner in the "Jazz Bass" category received the guitar Fender Jazz Bass, sponsored by AT & Trade. 1st place winners in both categories received € 1,500. 2nd and 3rd place winners - € 1000 and € 700. The winners of the 1st place also received special prizes from Latvenergo. Viktoria Anton (Ukraine), the winner of the vote for the "Riga Jazz Stage" and "Tele2" sympathy. 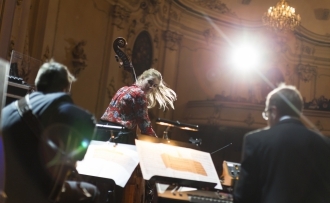 Venezia Jazz Festival, represented by Giuseppe Mormile – Kristina Kovalyova, Kaisa Mäensivu. 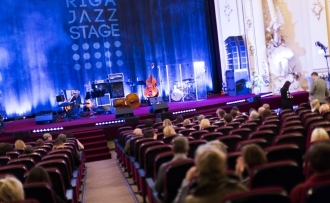 65 applications from 22 countries were submitted to “Riga Jazz Stage 2018” – 28 young bassists and vocalists were chosen as contestants and invited to perform at the Live Performances and the Contest Finale, at cinema “Splendid Palace”, Riga. 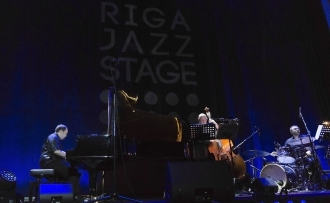 Artist in Residence, Michael Pipoquinha performed a special project together with the Latvian Radio Big Band at the Gala Concert of Riga Jazz Stage 2018 in programme Tribute to Jaco. Michael also hosted a workshop at the cinema Splendid Palace. Throughout the contest, jazz lovers had the chance to attend contest jam sessions at the jazz club “Trompete”.